Imagine waking up in the morning, your master bedroom curtains sweeping open to reveal a beautiful sunrise to wake you up. Picture raising and lowering shades with the push of a button. Envision office shades automatically lowering when the sun’s glare is the brightest throughout the day. All of these scenarios have ben made possible through Motoried Window Treatment's installation and retrofitting services! With state-of-the-art motors, smart operation, and MWT's design partners, there’s no better time to make your home a little smarter and your life a whole lot easier. Now you may be asking: Why should I motorize and how much is it going to cost me? 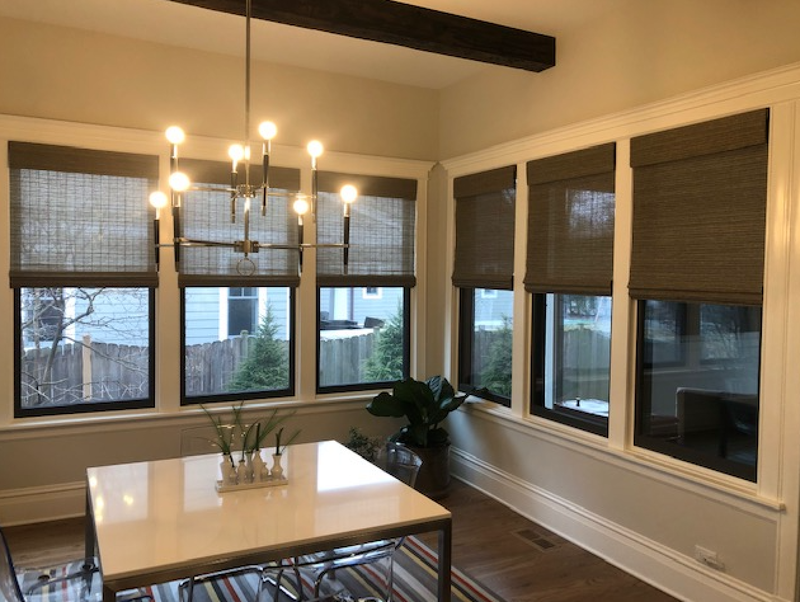 Check out our latest blog post below for MWT's top four reasons to make the transition to motorized window treatments today! When you think of smart homes, your initial thoughts probably jump to security systems, advanced lighting and sound systems, or automated cleaning devices. Often overlooked is the added convenience and privacy that motorized window treatments can bring to any space. With the addition of a motorized track you can elevate your home's comfort, protection, convenience and design. Few other high-tech amenities can offer as much! First things first, when evaluating the increasing popularity of the “smart home” movement, it’s easy to see that added convenience is one of the largest contributors. Now, let’s think about how many windows are in the average house. Walking around at different points throughout the day to manually open and close your blinds and shades can quickly become a daunting task. 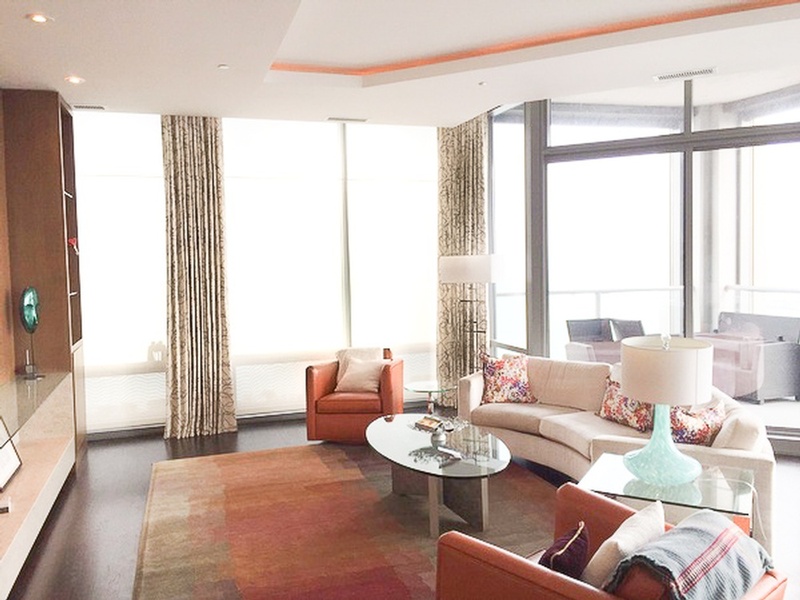 By opting to install motorized shades, it is possible to calibrate shades with a centralized control system which allows you to lower and raise them at the touch of a button or at scheduled intervals. Not to mention those hard to reach, high windows like the ones below that we installed! No one wants to deal with opening and closing those! Such modern conveniences in your home are always welcomed, right!? We all do it: rushing around to get ready for work in the morning and we forget to close our garage, lock the door, or close the blinds. Much like automatic locks, motorized window treatments can often be controlled through smart phone technology, making them easy to adjust while on the go. You can program your motorized shades to move up and down at different time intervals to create the impression that your home is always occupied, even if you are on vacation. Being as busy as we all are means we spend a lot of time away from home. And thieves know this. In fact, security experts say homes are most often burglarized between the hours of 10:00 a.m. and 3:00 p.m. With thousands of homes being broken into each year, we want to do all we can to protect ourselves. Motorized window systems for your blinds and shades will extend the life of your window treatments. The gentle operation of the motor versus pulling and tugging on them every day reduces wear and tear. Motorized window treatments play a role in reducing solar gain, or the heat that is created within a home due to sunlight. By automating the process of opening and closing your blinds, you gain control over the amount of light that enters each room throughout the day lowering the cost of your heating/cooling bill. Not to mention the added bonus of keeping furniture protected from the sun! Motorized window treatments are available in countless designs, styles, and colors. Automated motorized blinds can be just the focal point you’ve been looking for. They can also help you conveniently adjust the amount of natural light that enters your home so you can control the mood of a space at any given time. There’s no reason why something which is considered “affordable” should end up looking cheap. There are plenty of treatments available through MWT which are both reasonably priced and still look like high-quality window treatments. Whether you are looking to motorize your shades and blinds, or simply looking for the best in the business to install your manual window treatments, contact MWT today for a free estimate.